Author JK Rowling is to make her screenwriting debut in a new Harry Potter-themed film series, Warner Bros has announced. Warner Bros said the film series was part of an “expanded creative partnership” with the best-selling author. “It all started when Warner Bros came to me with the suggestion of turning Fantastic Beasts and Where to Find Them into a film,” said JK Rowling. “I thought it was a fun idea, but the idea of seeing Newt Scamander, the supposed author of Fantastic Beasts, realised by another writer was difficult. JK Rowling went on: “As I considered Warners’ proposal, an idea took shape that I couldn’t dislodge. That is how I ended up pitching my own idea for a film to Warner Bros.
“Although it will be set in the worldwide community of witches and wizards where I was so happy for 17 years, Fantastic Beasts and Where to Find Them is neither a prequel nor a sequel to the Harry Potter series, but an extension of the wizarding world. Warner Bros also announced that it would serve as the worldwide TV distributor (excluding the UK) for the upcoming BBC TV adaptation of JK Rowling’s recent adult novel The Casual Vacancy. It is expected to air in 2014. More than 450 million copies of JK Rowling’s seven Harry Potter books have been sold worldwide. 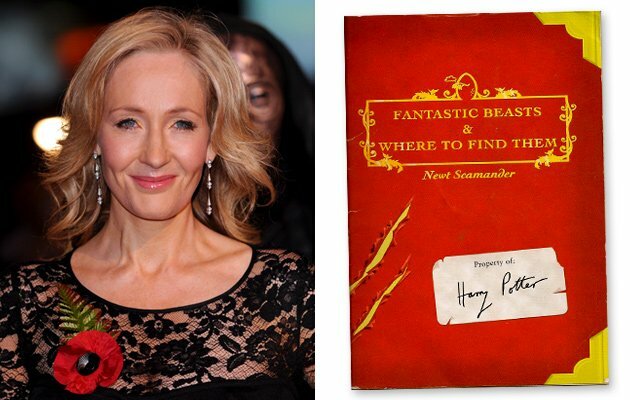 She also wrote two small volumes, Fantastic Beasts and Where to Find Them and Quidditch Through the Ages – both named after Harry Potter’s schoolbooks within the novels. They were published in March 2001 in aid of Comic Relief. Another Harry Potter spin-off book, The Tales of Beedle the Bard, followed in December 2008. The films have grossed more than $7.7 billion to date worldwide at the box office, making Harry Potter the largest-grossing film franchise in history.